Canada Post is the primary postal operator in Canada. There are four domestic, five US, and five international parcel services operating. In this article you will learn the shipping speed of each of these shipping services and when it is ideal to use them. You will also learn how you can automate your Canada Post shipping. What is Canada Post delivery time? Delivery time or mail delivery days is the amount of time taken by carriers to deliver your parcels to your customers. This definition remains the same for Canada Post shipping delivery time. The delivery time is also called transit time. Canada post provides you a delivery time range for each of its parcel services. Before comparing Canada Post mail delivery days lets me point out why it is important. Why does the delivery time matter? There are two major factors that play an important role in customer satisfaction. The ease at which the checkout page can be used and online tracking ability. Flexible shipping speed and cost play an important role on the checkout page. According to surveys, delivery speed is key to your e-commerce business. Customers give more importance to shipping speed more than the shipping cost. According to the Dotcom distribution survey, 85 percent of customers value shipping speed. The delivery speed at checkout plays a more important role then shipping cost. 47percent are ready to pay more for the same day delivery. On the same note, there is 58 percent of people who choose free shipping/discounted shipping. The above stats show how some of the customers are willing to wait for their orders, while others can’t wait more than three days. Same day or next day delivery also plays an important role at the checkout page. When a customer has an urgent need for an item he would love to have next day delivery option. Thus, to have an appeal over a wide range of customers, you need to be smart about shipping methods. You can have a mix and alternative shipping methods on the cart page. Which in turn reduces cart abandonment rate. At the cart page, you can offer free shipping, real-time carrier rates and same or next day delivery. To allow customers to choose the shipping method that appeals to them the most. 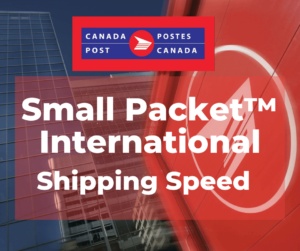 Thus, if you are using Canada Post for shipping, it is important that you are aware of shipping speeds of all of its services. How long does it take for Canada Post to deliver? There are fourteen Canada Post services, through which you can deliver your parcels. Out of these, there are four Canada Post services offered for domestic shipping. The remaining five for the US and the other five shipping services are for international shipment. Delivery time is an important factor that sets them apart from each other. Thus, when you are choosing them for your e-commerce business you need to be aware of their speed. So let’s check each individual Canada Post services with there delivery time so that we can compare them on the basis of speed. Delivery time of Canada Post domestic shipping services. 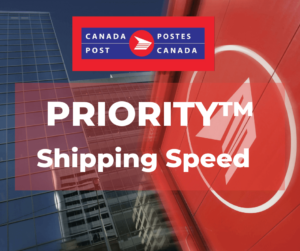 Canada Post PRIORITY™ is the fastest and REGULAR PARCEL™ takes a longer time to deliver. The four Canada Post services deliver to the entire country of Canada. Speed varies depending on the location you need to deliver to. There are three centers: Major Urban Centres, Non-Major Urban Centres, and Northern Regions and Remote Centres. Terms used in the table. Major Urban Centres Are the cities or towns with a Canada Post processing facility. Local: When the delivery address is within the city or town of originating address. Regional: The delivery city/town is in the same region of the originating address. National: The deliver city/town is in a different province of the originating address. The minimum and maximum size allowed for all four parcel services are the same. Minimum size: 100 mm x 70 mm x 1 mm and maximum size: Any dimension = 2 m, Length + Girth = 3 m). Except for REGULAR PARCEL™, all other parcel services provide an on-time delivery guarantee. Read more about the on-time guarantee and tracking services: Canada Post tracking. 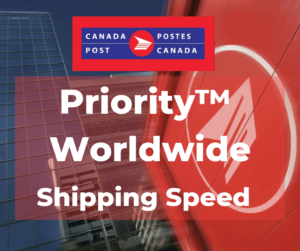 Canada Post PRIORITY™ services are the fastest. It can deliver your parcel within Canada by the next day (guaranteed). There is no extra cost for signature and on-demand pickup. Online store owners can offer PRIORITY™ as one-day delivery. Due to the high cost of this service its better if you show real-time rates at the cart. 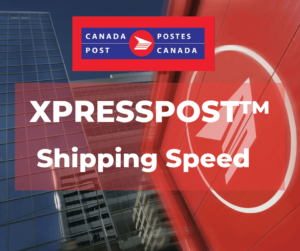 Canada Post XPRESSPOST™ is fast and can deliver your parcel the next day within the same region. For the rest of Canada, it takes up to two days to deliver (guaranteed) at a cheaper rate compared to PRIORITY™. Online store owners can offer XPRESSPOST™ as express delivery or fast delivery at checkout. You can either charge them with the real-time rates or fixed cost for shipping. 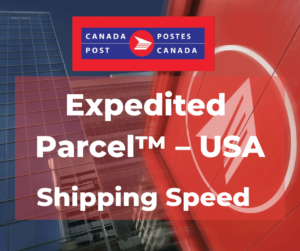 Canada Post EXPEDITED PARCEL™ is the fastest ground shipping within Canada. It is ideal for shipping large volumes. It will take less than seven days to deliver (guaranteed), for most of the cases it takes three to four days to deliver. Online store owners can offer EXPEDITED PARCEL™ as a standard delivery option at the cart. You can charge a fixed cost or real-time rate. Canada Post REGULAR PARCEL™ is the cheapest ground delivery service. It will take less than nine days to deliver within Canada. An on-time guarantee is not available with this service. REGULAR PARCEL™ is ideal for free shipping or you can offer real-time rates at the checkout page. There might be cases, where you will receive orders from non-major urban centers cities/towns or from remote centers. 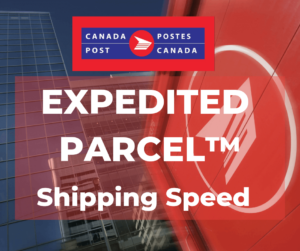 In these cases, there will be a change in the Canada Post delivery speed. You can refer to the table below for Canada Post mail delivery days for non-major urban centers and remote centers. Non-Major Urban Centres: Are the cities/town without a Canada Post processing facility. To know the major urban centers and non-major urban centers you can refer to these tables. For Remote areas refer to this table. Note: Most of the deliveries in Canada takes place within major urban cities/towns. 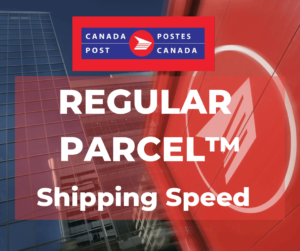 The above tables show the shipping speeds of all four Canada Post shipping services. Based on the region in Canada you want to deliver to, you can use these tables. For shipping to the US customers, you can use five services whose speed ranges from one day to eight days. Delivery time of Canada Post shipping services for the US. Canada post has five shipping services for shipping parcels from Canada to the US. Let me show you what the delivery time of each of these services is. Other important factors include on-time delivery guarantee and Dimensional size limits. Priority™ Worldwide is the fastest shipping service to deliver your parcel to the US. It can deliver your parcel to the US within the next day(guaranteed). There is no need to pay extra for signature services. Online store owners can offer PRIORITY™ Worldwide as a one-day delivery shipping method. Due to the high cost of this service, it’s better if you show real-time rates on the cart page. 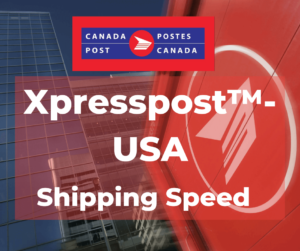 Xpresspost™ – USA is a fast and cost-effective shipping service that delivers the product within the US. It will take up to two to three days to deliver(guaranteed). You can offer this service to your customers at the cart as express delivery or fast delivery. Expedited Parcel™ – USA is a cheap option to deliver parcels to the US with a maximum weight of 30 kg. It takes four to seven days to deliver the parcel to the US (on-time not guaranteed). You can use this service at the cart page as standard delivery. 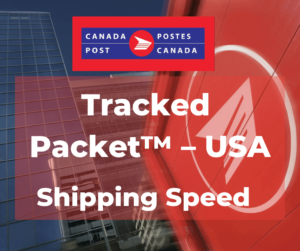 Tracked Packet™ – USA can deliver the parcel to the US whose weight is less than one kg. It takes four to seven days like Expedited Parcel™ – USA. Store owners can use these services to deliver parcels to the US for products that are less than one kg. 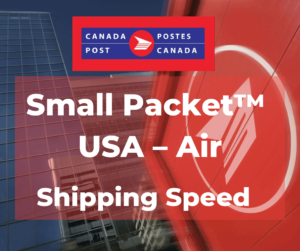 Small Packet™ USA – Air is the cheapest Canada Post services for shipping small items that are below two kg. It takes five to eight days to deliver the parcel to the US. Store owners can use this service as a free shipping method. Delivery time of Canada Post services for international shipping. Canada Post has five services for shipping parcels from Canada to the rest of the world. You can check the table below for mail delivery days of each the services. Along with other important factors like on-time delivery guarantee and, dimensional size limits. Priority™ Worldwide can deliver a parcel from Canada to 192 countries worldwide. It takes two to three days to deliver your parcel (guaranteed). It is the fastest Canad Post shipping service and provides you with on-time money back guarantee. 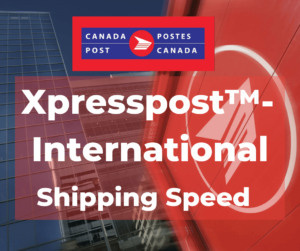 Xpresspost™- International is a quick and affordable shipping service in Canada Post. It can deliver a parcel to more than 70 countries. The delivery time is four to seven days. You can use this service as a standard shipping method on your cart. 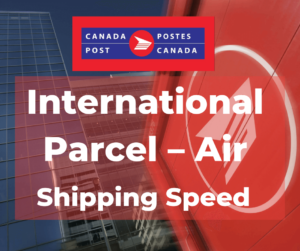 International Parcel – Air or Surface is the most cost-effective service. It takes six to ten days through the air (not guaranteed) to deliver parcels from Canada to the rest of the world. You can use these services for countries where Xpresspost™- International is not available. You can use this service to offer free shipping worldwide. Or, provide real-time rates at the cart. Through the surface option, it takes more than 12 weeks, which is not ideal for most e-commerce businesses. Tracked Packet™ – International if your product weighs less than two kg then this is an ideal service. This service can be used to deliver your product from Canada to 31 select countries. If you are selling a product that is less then two kgs. you can use this service instead of International Parcel. Small Packet™ International – Air or Surface like Tracked Packet™ – International which can ship small items (less than 2kg). The only difference being it is not limited to 31 countries. You can use this service to deliver items to countries where Tracked Packet™ cannot ship. Now that you have all the information related to Canada Post shipping estimate, you can make a decision on which Canada Post shipping services to use as per your shipping method. It takes a lot of manual work to perform these tasks because you have to select the shipping service for all your orders one by one based on speed. To reduce manual work and automate your shipping you can use StorePep. Shipping solutions for Canada Post based on delivery time using StorePep. As discussed above you can reduce cart abandonment, by offering flexible shipping speed. After the customer chooses the shipping speed on the cart page, you need to deliver within the promised date. For this, you have to select the correct Canada Post shipping service. 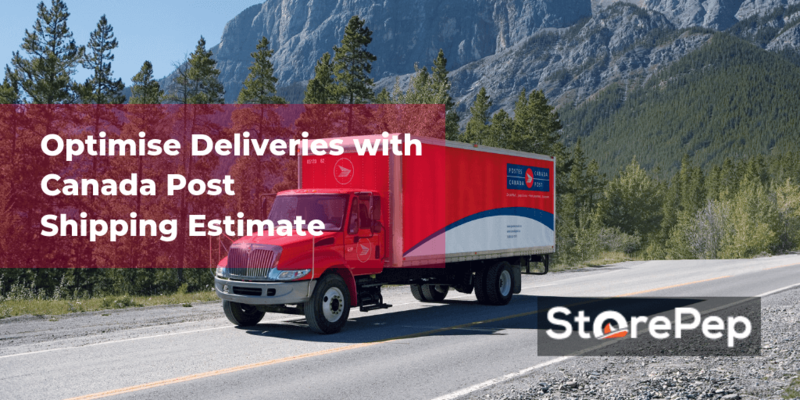 With StorePep, customers can see Canada Post delivery time on the cart page and store owners can see Canada Post shipping estimates of all of the orders on the StorePep platform. Thus, you can make sure delivery happens seamlessly. Canada Post delivery time at checkout. On the cart page, you can have different shipping methods for customers to choose from. The easiest shipping method is showing real-time carrier rates on the cart. Thus, letting customers choose Canada Post services that they prefer. You can refer to the image below which displays Canada Post delivery time on a cart for domestic, US and international addresses. How to display real-time Canada post rate with transit time at checkout/cart pages using StorePep? First, log into your StorePep account and integrate Canada Post to your StorePep account. Then follow the steps mentioned below. Click on Account Settings on the left tab. Select Automation Rules under Shipping Rates. On top right click on Add Rule. Then the new section will appear below. 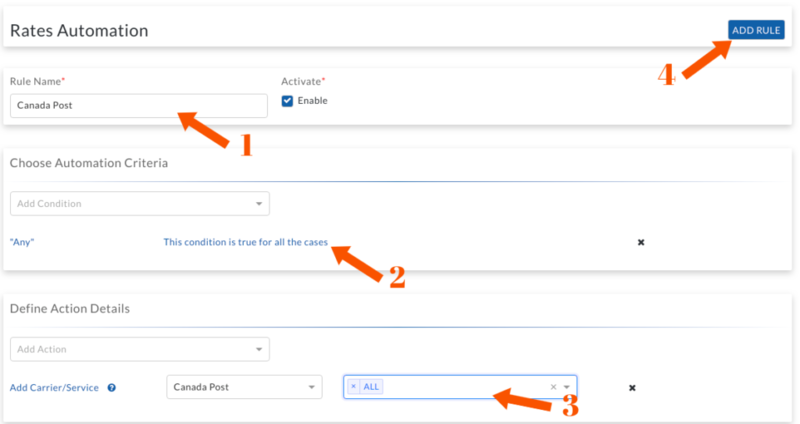 Define Action Details: Select “Add carrier/service” > Select Canada Post as a carrier for service you can choose “ALL”. On top right click on ADD RULE. After this, you can check your cart/checkout page. You will see all the Canada Post services that are eligible based on location. 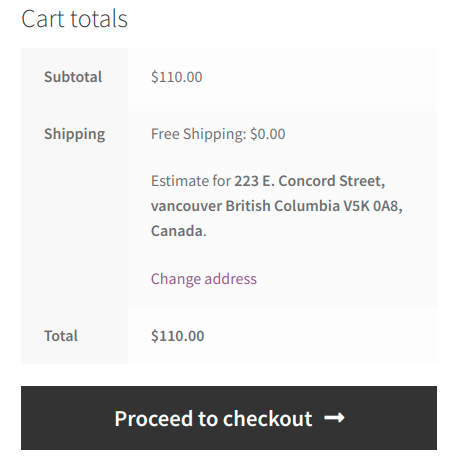 You can also display free shipping on the cart and let StorePep select the cheapest Canada Post service. How to offer free shipping using StorePep? For free shipping, create a new Automation Rule under shipping rates. Rule Name: Enter it has free shipping (same will be shown on checkout page). 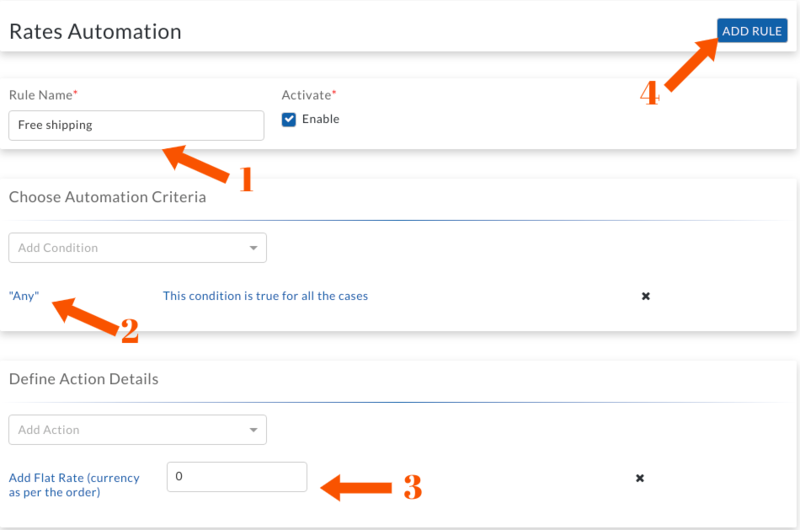 Choose Automation Criteria: Select “Any” condition. Define Action Details: Select “Add Flat Rate” and add value as 0. Now let’s place an order and check the cart page. Note: StorePep automatically chooses the cheapest Canada Post services. Canada Post delivery time for store owners at StorePep platform. Now place an order for free shipping and then log in to your StorePep account and follow the steps below. On the left panel click on “Views”. Now scroll down to Rate Summary, here you can see all the qualified Canada Post services with rates along with transit time. Now, you will notice StorePep has chosen Canada Post services with the lowest shipping rate. Often you will have cases where two services will have the same shipping cost. In this case, StorePep selects the one with the lower transit time. In the above cases, Canada Post Expedited Parcel and Canada Post Regular Parcel have the same shipping cost. Once an order is placed you can print Canada Post shipping label along manifests and request pickups on bulk. A lot of work goes into bringing a customer to the cart page. It is crucial to not lose them because of the shipping speed. Let your customer be the decision maker on shipping speed. Canada post offers a wide range of shipping services, allowing to do the same. Whatever shipping methods you offer on the cart page, be sure you are well educated about it. 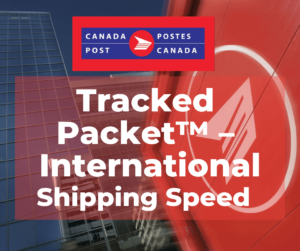 I hope through this article you now have a clear understanding of the shipping speeds of the Canada Post shipping services. Do not waste your time on shipping by doing manual work, you can save time by using StorePep. If there is anything more you want to know about StorePep, feel free to comment below.